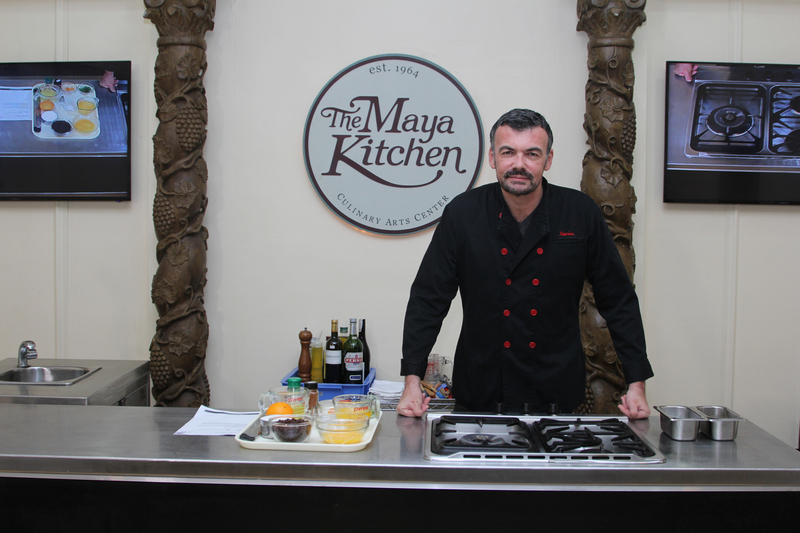 The Maya Kitchen recently hosted the Maya Culinary Elite Series with Chef Xavier Btesh as guest. Chef Xavier demonstrated some French dishes that one can easily cook at home. Set a frying pan on medium-high heat. Place half butter, and saute onions and bacon. When onions turn translucent, transfer onion and bacon to a cast iron pan on high heat along with the rest of the butter. Add the chunks of meat and toss well. Sprinkle flour, and stir, making sure to scrape the bottom of the pan with wooden spoon. Add the beef, wine, and all the other ingredients except mushrooms. Mix well. Reduce to a very low heat and cook for three hours, stirring every once in a while so that your ingredients won't stick to the pan. After 2 1/2 hours, add mushrooms. If the sauce reduces too much, add a bit of wine or broth. 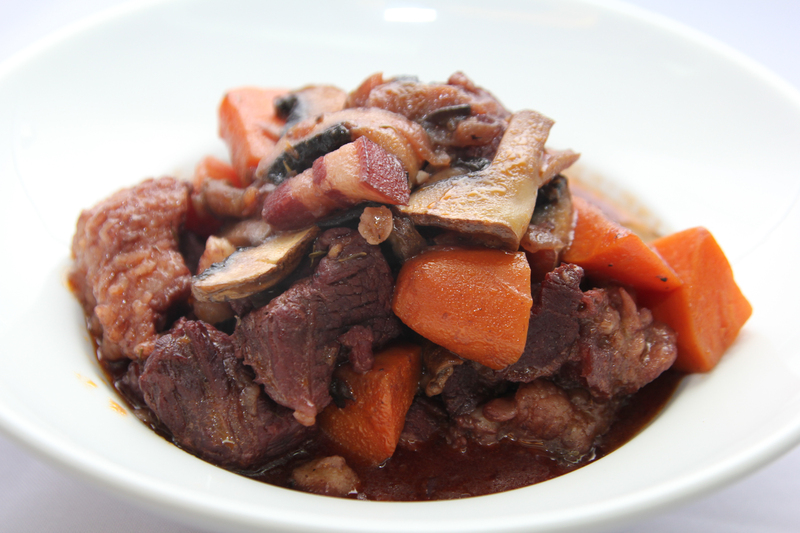 After 3 hours, your iconic French stew is ready. Serve with boiled potatoes or rice. Separate yolk from egg white and set aside. Melt chocolate with a tbsp of water in bowl (microwave) for 2 minutes, mix chocolate and melt again for another 1 minute. Mix in with melted butter and set aside. Using mixer, whip the egg whites with a pinch of salt until they are really stiff. Beat egg yolks, add sugar and chocolate mixture. Mix well. Gently pour chocolate batter into stiff egg whites. Once the egg white are completely incorporated, transfer to a serving bowl and cover with foil. Leave in refrigerator for 3 hours before serving. Chef Xavier Btesh was born and raised in Paris, France and has trained under renowned chefs before embarking on his own, and eventually becoming a consultant chef for various businesses. He has also published Les Petits Diners de Xavier, which sold more than 40,000 copies in Europe. His latest cookbook is French Kusina. "When you're a French chef, people come to you and they tell you about 3-star, 4-star Michelin chefs, truffles, and foie gras. But I keep telling people, this is not the food that we eat daily," says Chef Xavier. "I know that Filipinos love their family-style and we're the same in France, we have family-style as well. I want to show the way we eat at home." 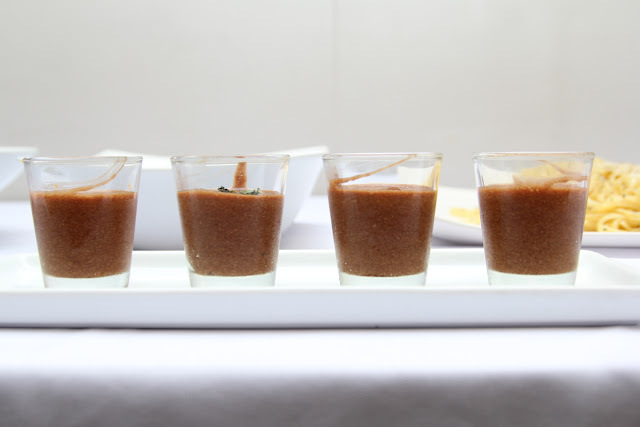 He also shares that French dishes have a lot of similarities with Filipino dishes such as "adobo." Just switch the vinegar to wine, and it turns into a French stew.